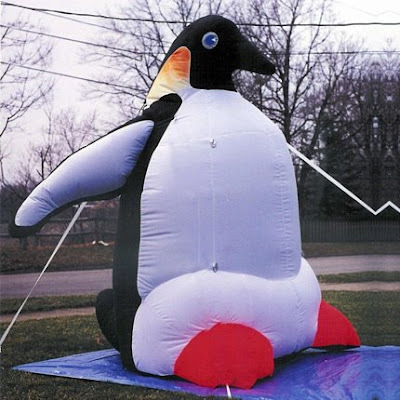 Members of the Wilkes-Barre Fire Department reported a male suspect was in front of the fire station on North Washington Street and was having an altercation with an inflatable penguin just before 2 a.m. Saturday, police said. The male, Kristopher Manick, was allegedly found to be highly intoxicated, police said. He was arrested and cited for public drunkenness and disorderly conduct, police said. "Oh.... it's that damn penguin again!"